Sometimes new changes such as plugins or updates are simply not compatible with your current theme. Often, with this incompatibility, you are unable to enter the admin area to switch the theme. This can leave you in a circular problem as you need to change the theme in order to get into the admin area. In this scenario you will need to change it directly in the database. This article will guide you on how to do that within your WordPress site. Before you get started, be sure to check out InMotion Hosting's WordPress Hosting platform, optimized for superior performance and security. 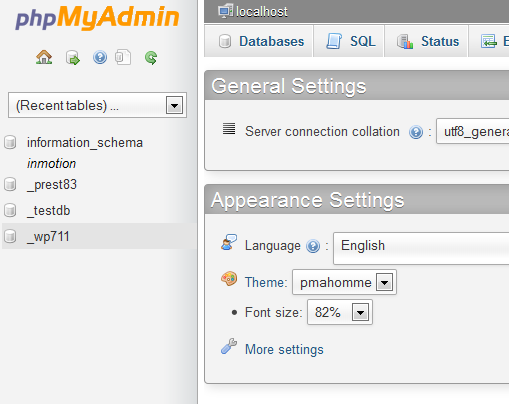 Look for the Databases category and click on the phpMyadmin icon. 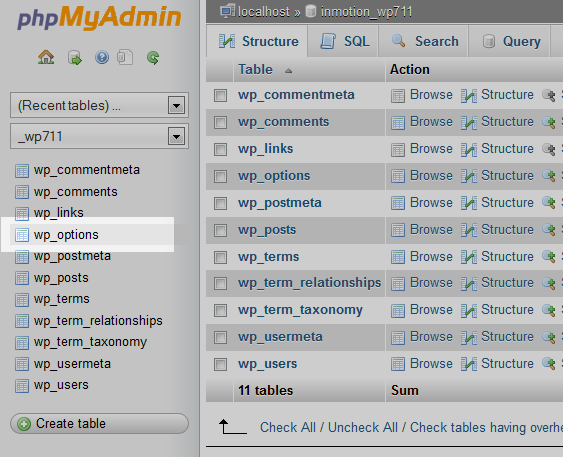 Once inside the phpMyadmin look to the left hand sidebar and click on your specific wordpress database. From there, select the wp_options table. Once the table is opened, look to the tab menu on the screen and click on the Browse tab option. This allows you to browse the columns broken down into pages. Click on the Show All option at the top so it will list all the columns on one page. Next, you will need to locate two rows on the page, the template and the stylesheet. Pick template and click on the Edit link. This will take you to the edit page where we will change the data for the option_value. In our example, the value is set for the alexandira template. Change this to the default theme name, twentythirteen and click on the Go button at the bottom of the page. Perform the same procedure on the stylesheet row. When you finish the stylesheet and return to the list, you should see the new theme in the value portion of the list for both. You can now visit your website and see that it is using the default theme. 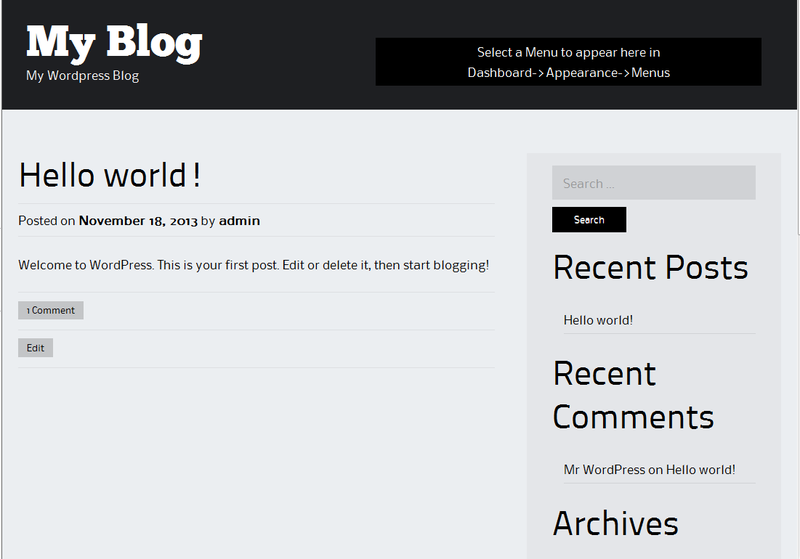 From here you should also be able to log into your wp-admin area. thank you oh so very much!!.. works great 4 me.. simple and clear.. Excellent article! Works like a charm. Regards. I am new here and the page of phpMyadmin is empty and I wanna select a proper theme to match y insurance business Any help? Sam, if your phpMyAdmin is empty, you may not have any MySQL databases setup yet. You will need to <a href="http://www.inmotionhosting.com/support/website/database-setup/create-database">create a database</a> first, and then modify it as you need. Hey i created my website on wordpress and by mistakly i deleted all data from public.html folder and then i uninstalled previous wordpress account and created another one from cpanel now i am not able to change my theam and i tried these steps and still my website is not showing any theame. Check your wp-config file to ensure you are changing the correct database. It will be listed in the wp-config file. Thank you a lot, this really helped me. I tried posting a second ago but i guess it didn't post..
Ive done what you suggested but it has not changed my issue of not accessing my admin page or website being down. please any help is massively appreciated!! Sorry for the problem with the theme. You will need to disable the theme that's being used. You can do that via the database. Once you have the theme cleared, then you should be able to access your site normally again. In order to fix the issue, you will need to contact the theme developer. It really worked for me. Thank You so much for providing detailed blog. Hmmm. Template and stylesheet not showing up in wp_options list so there is nowhere to change the default theme. Now what to do? My error message says directory not found. The only way I can acces my WP admin panel is to designate Themes_old in cpanel and then no themes are present in the WP admin panel. When I do that I go from a completely white screen to a white screen with the error message, so I'm assuming it does indeed have to do with theme access. But Template and stylesheet don't show up in wp-options regardless of whether I use Themes or Themes_old. Be sure you are looking through the entire wo_options table. 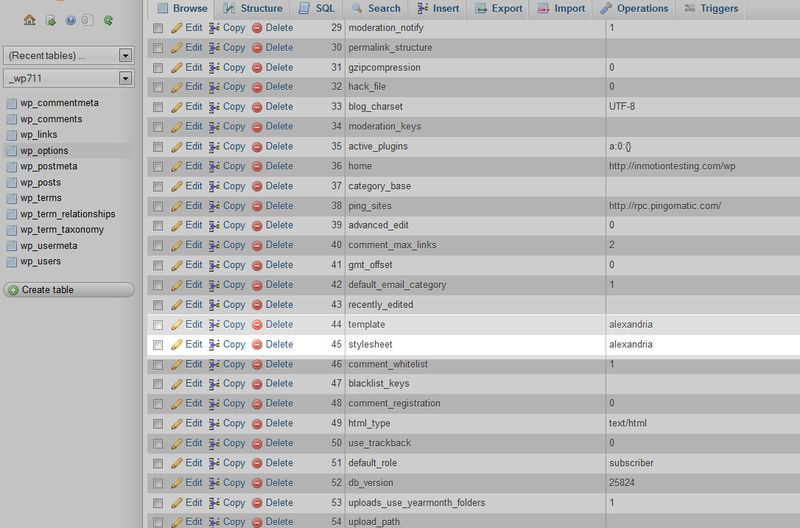 The columns are paginated, so in my database I found them on the second page of columns. The above guide should help you accomplish that. Are you having trouble with a specific step? Thank you so much . Really nice trick. i wested one week to solve this problem. after ref your post imediately i solve this error. Excellent solution and step by step instruction. I was lucky i landed in this post. Saved me a lot of time and rectified the issue instantly. Thanks and appreciate. Excellent advice, got me out of a hole when a subscription to a paid theme expired and it stopped working. Followed your instructions and it worked a dream. Appreciate your tutorial. saved my time and helped alot. how to know the name of theme and plugin is used in wordpress website. If any way to know this please tell me. The article above goes over how to find the name of the theme in the database. To find your plugins, look in the wp-content/plugins folder. Thanks for this EXCELLENT info. A blank wp-admin screen is a scary thing!! Thanks, that worked just perfectly. Client managed to kill their website by deleting the active child theme. This worked for me. Although, once you're in the theme I had to go to the /wp-admin (dashboard) and activate a different theme, and re-activate the theme that I wanted after. There were some lingering issues that it was reading the old theme if I didn't do it this way. Thank you , thank you so much. I was about to delete all the hard work i had done. The error message "No such file or directory" means that either a path is incorrect or the file is missing. Did you move the installation over from another location? Did you do an update? I was trying to change from the Ultimatum theme to any of the themes that come with Word press. I tried twenty thirteen, blank canvas, etc. I have tried to change them through the c-panel just as the instructions above have stated and also tried directly through wordpress itself. What I'm not sure of is do I have to put the integration link into the pages or should things roll over because they are in the c-panel. Again, we don't control the c-panel, but we do have access to it. Thank you for contacting us. All of the options you described should work for changing your WordPress theme. Your WordPress theme should change immediately, unless you are using some type of caching. You may also have to clear your browser cache to update your view. Thank you TJ, however, I did follow all of the previous comment/suggestions before I contacted your site. Like in my previous comment, I have gone into the Cpanel as well as just wordpress and tried to make changes. As easy as it is for anyone else to do it, it just seems so compicated when I try to. Either I have to take the new theme and "tweek" it to my liking or it doesn't work at all. All of the main themes are downloaded into the cpanel and when I have followed the instructions previously the new theme doesn't act correctly. I was under the impression that if all of the files are in the cpanel and the themes are there, I should be able to just change the theme and bam! New theme. What else could I be doing wrong? Unfortunately, you're not giving us any specifics about what you're doing. How are you making changes to a theme? Are you changing them in the editor? Are you making changes with the WordPress interface? What theme are you referring to? Many custom themes have different interfaces that may affect how they are modified. Please give us some further info in order for us to help you . 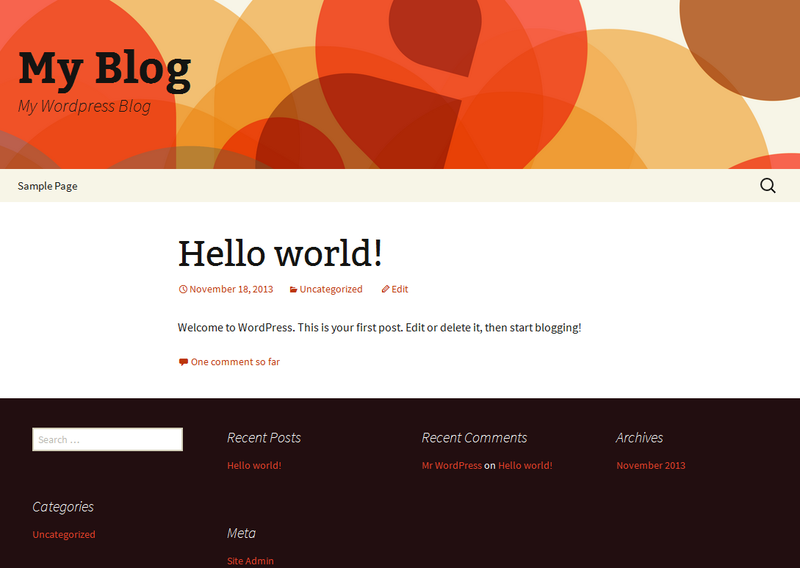 Hello, I have read just about everything there is to read about changing a theme in wordpress. My problem is that our wordpress is connected to a cpanel (not so tough, right) so that I should be able to follow all the steps above and change it to a new theme. It works as far as going to the new theme, however, my question is, do I have to fine tune the new theme? Our Cpanel is run through a company, however, I have access to it, and have been playing around with it. I see that I can change the theme either on the Cpanel or through wordpress. What I don't see is all the changes happen. When you make any changes to the theme and you are not seeing changes then your browser may be cached. Please be sure to clear your browsers cache and wordpress cache (if you have a caching plugin enabled). I followed the steps and it works, however my second problem now is all of the assets are 404, couldn't read the css, js and images. PLease help.I'm using wordpress from GoDaddy. Thank you for contacting us about 404 errors after changing your theme. We are happy to help, but will need some additional information. Did you try the Common WordPress Troubleshooting Techniques? Have you tried changing the permalinks? For example, changing to a different option, then changing back. What theme were you installing? What theme did you have before? Can you provide a link to the site, so we can view the error? I never comment because I am a weird sort of person. But you are a life safer. Thank you very much sir. You saved my work. I installed a theme which was corrupt and I didnt even have the backup. Don't forget to mention that you will need to use the theme's 'text_domain' as the name, because the actual name won't work. Thanks a lot. Helped me out of a jam and got me going again. There may be serveral references in the article to "column" when I think what was meant was "row" ? Thank you for your comment. I removed/changed some of the incorrect instances of "column" in the article. If you have any more suggestions, let us know. what about if i want to go back to my old themes? is it the same process ? Yes, you would use the same process to enter the name of your old theme.